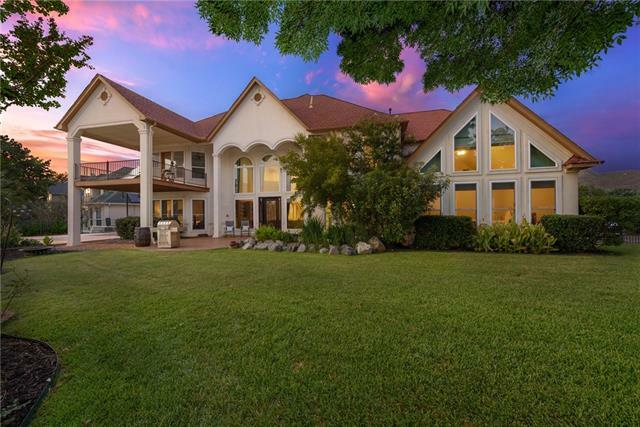 All Trophy Club homes currently listed for sale in Trophy Club as of 04/25/2019 are shown below. You can change the search criteria at any time by pressing the 'Change Search' button below. If you have any questions or you would like more information about any Trophy Club homes for sale or other Trophy Club real estate, please contact us and one of our knowledgeable Trophy Club REALTORS® would be pleased to assist you. "BREATHTAKING GOLF COURSE VIEWS! 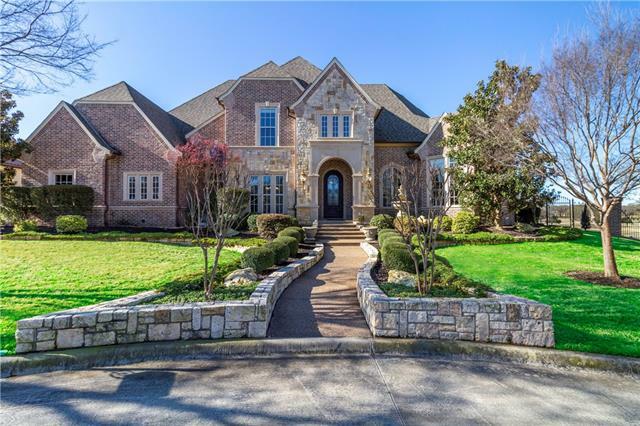 Situated on just under an acre, this masterpiece boasts extraordinary detail & craftsmanship! Amenities include: HS hardwoods,iron & glass entry door,iron balustrade staircase,art niches,wine room,plantation shutters,solid core doors,wainscoting,crown molding & more! 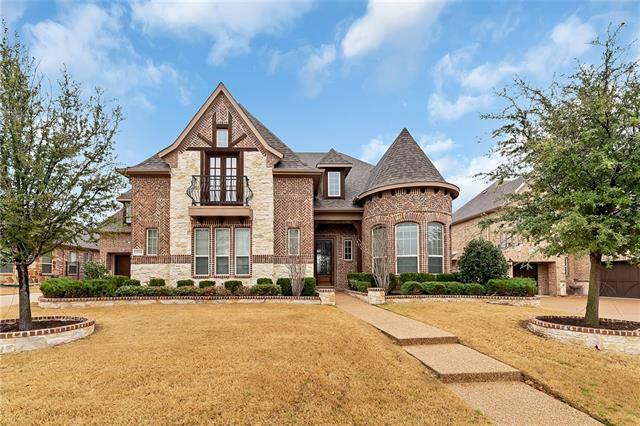 Chef's dream kitchen w- SS Viking appl, oversized island,granite counters & butler's pantry!Game rm & media rm up!Bonus room up currently used as a party room but would be perfect for a guest suite - "
"Exceptional executive home with all the extras. Three separate livings areas along with game room and media room. Upper and lower covered patios with fabulous views. The study is private and overlooks the golf course which can be seen from numerous vantage points. Gourmet kitchen any chef would be proud of. Upstairs you will enjoy the spacious TV area along with the billiards room which leads to the second patio and the media room. Outdoor living area with built in grill and fireplace. Awesome s"
"THE KNOLL - L U X U R Y at it's Finest! Surrounded by the Whitworth Golf Course, The Knoll in Trophy Club has it all - Privacy and Luxury! This was a BUILDER'S Personal Home and boasts exquisite views of the beautiful trees, lush landscaping and private yard space. Adjacent to the Park, Brick cigar porch, 2nd brick porch getaway near Master. Gourmet Kitchen features Gas cooktop, High End appliances, Pot Filler, Lg walkin pantry, island n breakfast bar. Wood beams, vaulted ceilings, crown moldin"
"Exquisite open concept home with all luxury amenities. Enjoy coffee in the morning while sitting in the out door oasis, or enjoy evening entertaining with full outdoor kitchen overlooking the dramatic water features of the dual level pool. Spacious master features a California Closets System. Hardwood & granite countertops through out home. Down stairs study, wine room, Oversized laundry, game room and separate media. Custom cabinets built in garage." "This TIMELESS home has so much to offer. 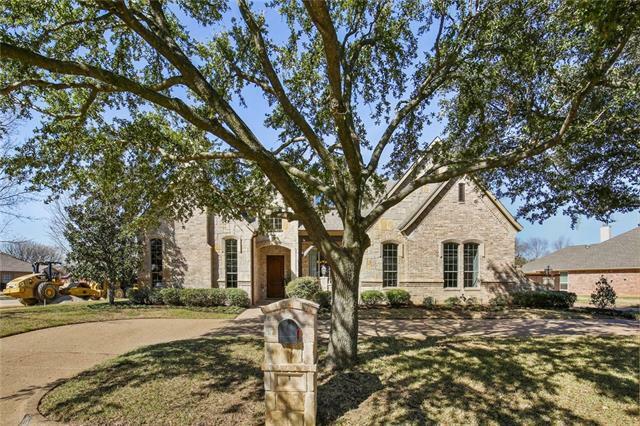 Perfect layout for your growing family Ample outside entertaining space, on the Golf Course. Living room, Kitchen, Master Suite, all have lovely views of the course plus the upstairs balconies offer great veranda views. No HOA fees. Designer elements extend throughout. 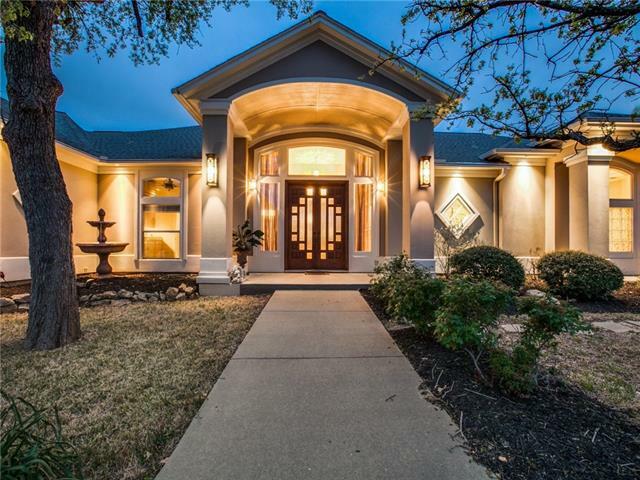 Stunning Iron Doors, Cedar Garage Doors, Multi-sport game court delivers for all ages, plus a putting green, Koi pond and waterfall. 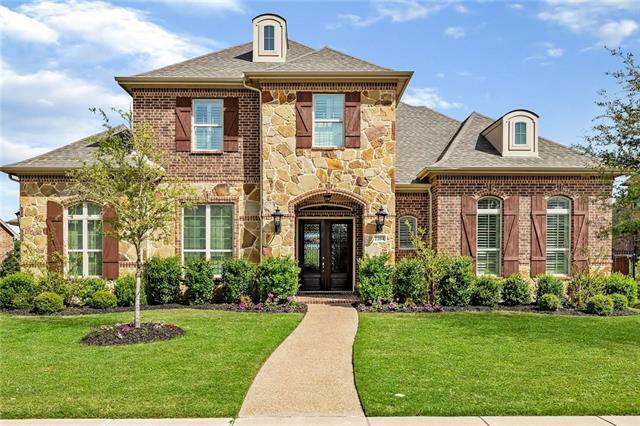 Hub of home commands center stage with custom granite, t"
"PREPARE TO FALL IN LOVE WITH THIS MILLION DOLLAR GOLF COURSE VIEW IN THE SOUGHT AFTER AREA OF TURNBERRY! THIS IMMACULATE HOME FEATURES 5 BEDROOMS - 5.1 BATHS - 3 CAR CARAGE - EXTENSIVE HARDWOOD FLOORS - OFFICE - FORMAL DINING ROOM WITH A SPACIOUS WINE ROOM - BUTLERS PANTRY - GOURMET ISLAND KITCHEN WITH LOTS OF CABINET AND COUNTER SPACE - 4 BURNER GAS COOK TOP WITH GRIDDLE - UNDER CABINET LIGHTING - SPACIOUS MASTER BEDROOM AND BATH - SECONDARY BEDROOM AND BATH DOWNSTAIRS - UPSTAIRS YOU WILL FIN"
"WELCOME HOME TO YOUR GORGEOUS TROPHY CLUB GATED GOLF COURSE ESTATE HOME ON 1.54 ACRES! Bordered by two creeks & approx 300 ft frontage on #4 tee box of Hogan Course. All rooms with sweeping views of the golf course. Huge kitchen with custom ash cabinets & granite counters, 2 living & dining areas, family room has an electronics closet behind TV, master bdrm & bath with 2 walk-in closets, dbl sher & jet tub,2 bdrm 1 bath suite(mother-in-law)in opposite wing that's plumbed for sink under hallway c"
"Just completed villa home on golf course in Villas of Hogan's Glen! Single level with open floor plan & beautifully finished with substantial upgrades & golf course views. Spacious kitchen has an oversized island with barstool seating, built in stainless steel KitchenAid appliances, built in Thermador wine fridge in butler's pantry & elegant stained wood cabinetry. Open to kitchen & dining, hand scraped hardwood floors complement a stone gas fireplace in living room. Privately separated bedrooms"
"GORGEOUS luxury home in gated community of Hogan's Glen. 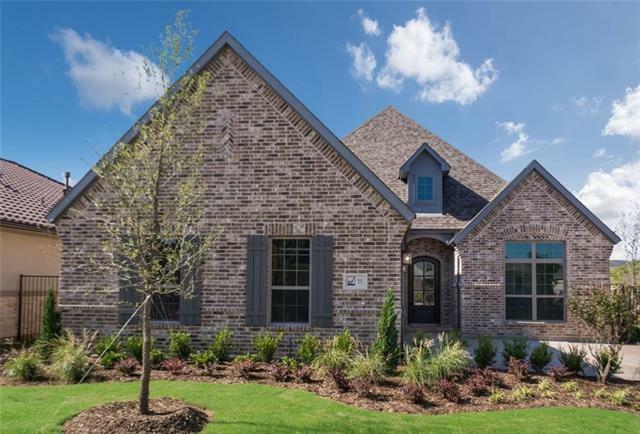 Fall in love with the gourmet kitchen with farm sink, granite, SS appliances, gas cooktop, custom broom pantry, walk-in pantry, dry bar & large island perfect for entertaining. Master suite features walk-in closet, soaking tub, a 10x15 bonus room. Backyard oasis is a perfect place for relaxing complete with pool, spa, slide, covered patio, pergola and large backyard. 1st floor media room with built-in cabinets, projector, screen and stage!" 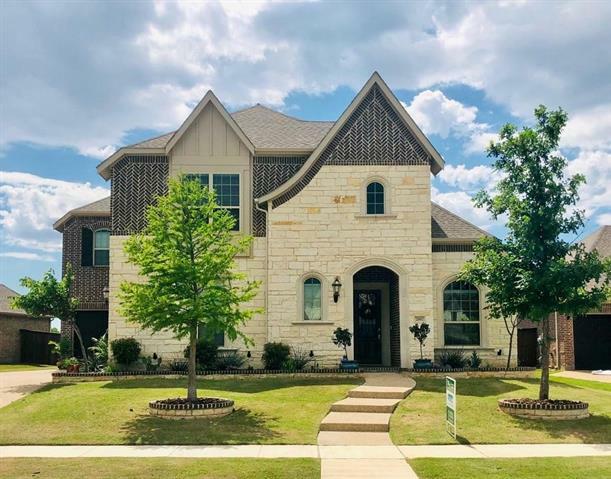 "Spacious 5 bedroom home, open and inviting offering views of protected green space next to Lake Grapevine on a beautiful elevated lot. 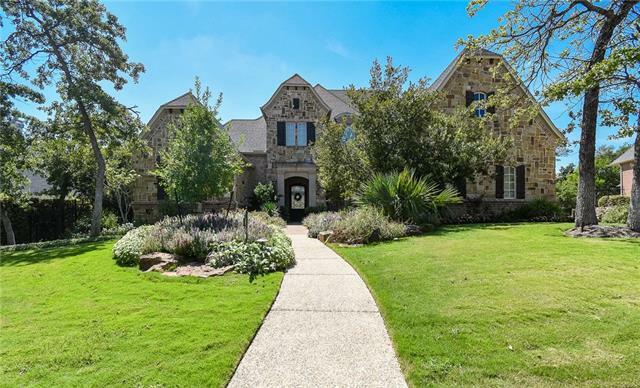 It has current finishes, wood floors, stunning curved staircase and stone fireplace. The kitchen is ideal with a large island, plenty of work space, 6 burner gas cooktop, double ovens and walk thru bar butlers pantry to the dining room. A large study with built-ins. The master retreat has a sitting area to enjoy the views and a beautiful spa like bath. Upstairs t"
"MLS# 14052464 - Built by Ashton Woods Homes - May completion! 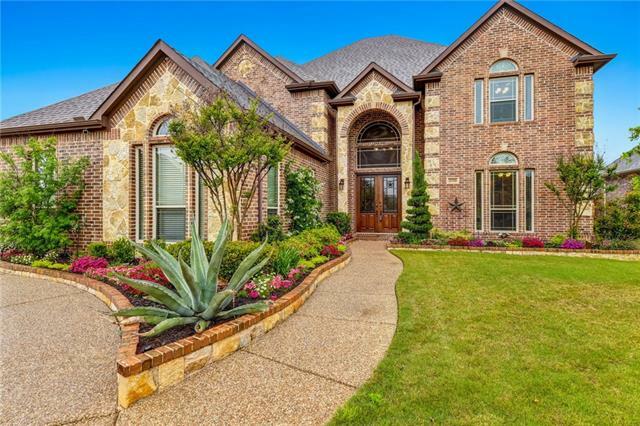 ~ Gorgeous Lux Home located in Trophy Club, min to Hwy 114, DFW APO & only 31 miles to Legacy West. 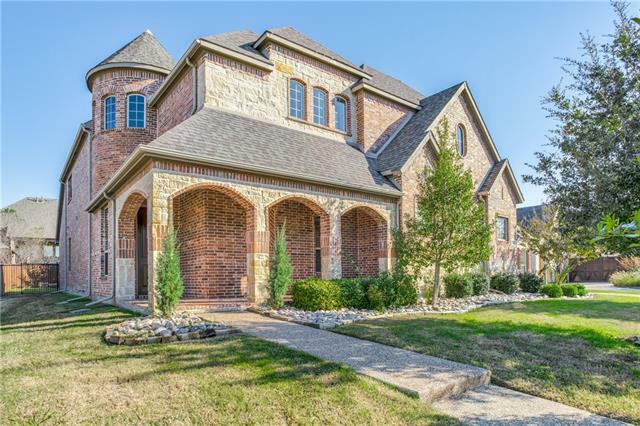 Home exudes curb appeal wits Regal Brick Exterior & Cast-Stone Accents highlighted by Cedar Shutters. Inside, the Open-Concept Living is adorned wPREM Finishes throughout; HdWd FLR, Pro-Inspired Stainless APPL, Silestone Counter Surfaces, CUSTM DBL-Stacked Cabinets, Deco Lighting, Satin Nickel Fixtures & so much more. A Private Study,"
"MLS# 14029624 - Built by Ashton Woods Homes - April completion! 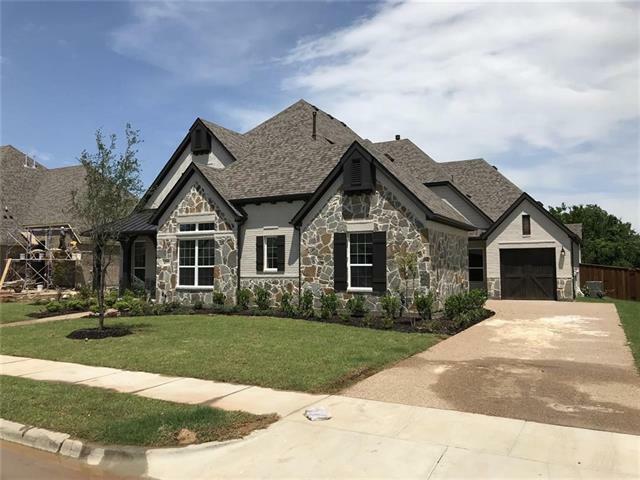 ~ Luxurious new Ashton Woods home in Trophy Club only 31 miles to Legacy West, minutes to Westlake in a Golf Course community. 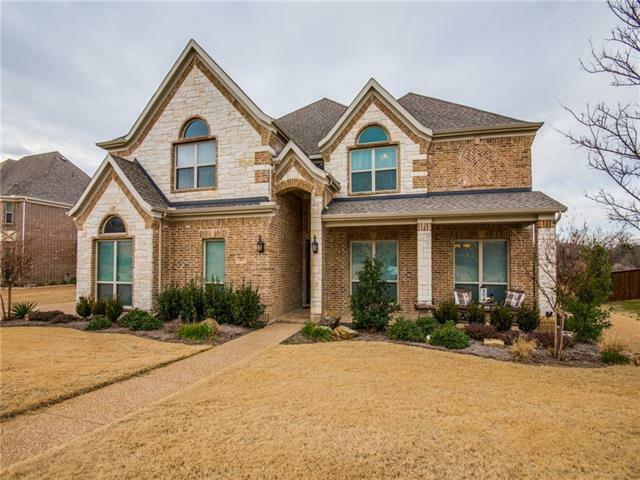 Picturesque 1.5 Story with brick & stone, shutters & front porch. Foyer opens to a study & 2 secondary bedrooms. Formal dining room just before open kitchen-family-breakfast room. Butler's pantry connects dining & kitchen. 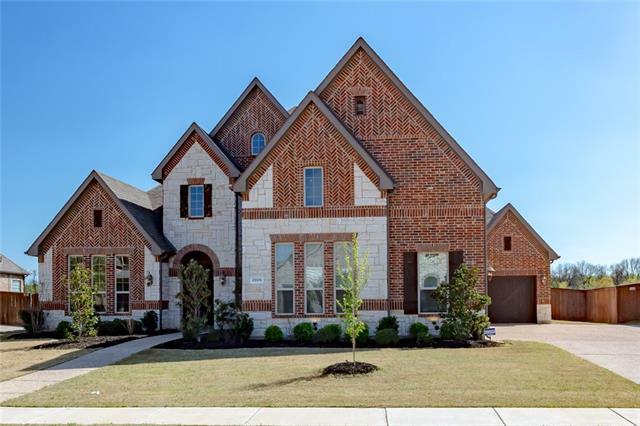 Upscale features include an oversized eat at island, Silestone surfaces, walk-in pantr"
"PRISTINE HOME IN THE SOUGHT AFTER TROPHY CLUB NEIGHBORHOOD OF TURNBERRY! LOCATED IN COVETED NISD. THIS HOME FEATURES 5 BEDROOMS - 4.2 BATHROOMS - HANDSOME STUDY - SPACIOUS FORMAL 2 STORY DINING ROOM - GOURMET ISLAND KITCHEN WITH LOTS OF CABINETS AND COUNTER SPACE - GRANITE COUNTERTOPS - 5 BURNER GAS COOKTOP - LARGE 2 STORY FAMILY ROMM WITH A WALL OF WINDOWS OVERLOOKING THE BACKYARD OASIS WITH POOL, SPA, FIRT-PIT AND PERGOLA - POWER PATIO SHADES - EXTENSIVE HARDWOOD FLOORS DOWNSTAIRS - SPECTACU"
"Exquisite home in the Highlands, w-interior design to delight the most discriminating buyer's taste! 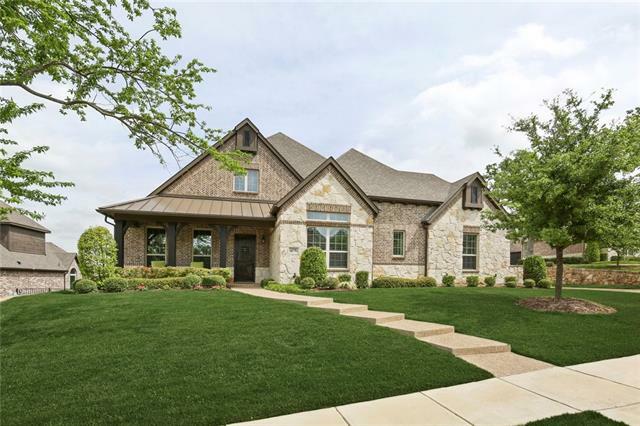 Entry to grand foyer is greeted w-handscraped hardwoods leading past french door'd study & for din to family room w-soaring 20 ft ceilings & floor to ceiling WBFP. Gourmet kitchen, opening to fam rm across spacious breakfast bar-island, w-granite c'tops,SS appliances & abundance of cabinet space to delight the family chef. Split master suite w-walk in closet, sep shower & soaking tub for those pr"
"This beautiful home in the Highlands neighborhood has 5 bedrooms, 4.2 baths, 3 car garage, office-study, large formal dining room, a beautiful chef s kitchen with a huge walk-in pantry and butler pantry, and the master retreat and a guest bedroom downstairs! The kitchen has a large gas cooktop, double ovens, and a large island overlooking family living room and the backyard oasis. The spacious secondary bedrooms in this beautiful home all have walk-in closets! 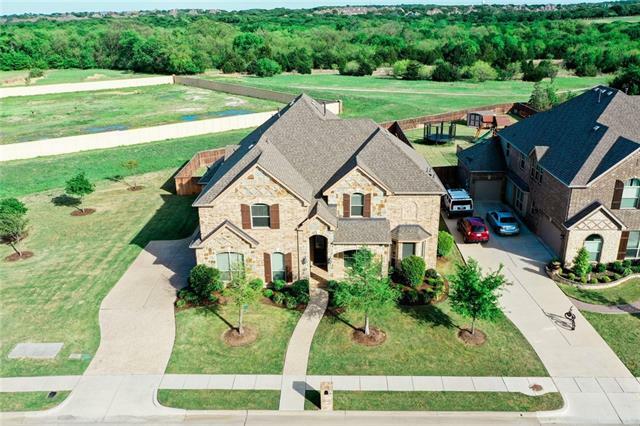 The media and game rooms are "
"Custom built in 2007 from the ground up, this gorgeous corner lot home features extensive custom trim work, nail-down oak floors, matched built-ins, and an open concept kitchen perfect for a chef. With three bedrooms down and a fourth upstairs, this layout works perfectly for all family types. Over sized master suite features views of the pool and spa with it's own backyard access. Situated across the street from the 12th green of the golf course, the location makes for quick access to a roun"
"BEAUTIFUL luxury home! From the moment you walk in you will be greeted by the elegant staircase and hand scraped hardwood. Very open and spacious, with natural light shining through everywhere. Premier kitchen with GORGEOUS hued granite, SS double oven, 5 gas burner cooktop, vegetable sink, & pendant lighting! 19 ' ceilings! 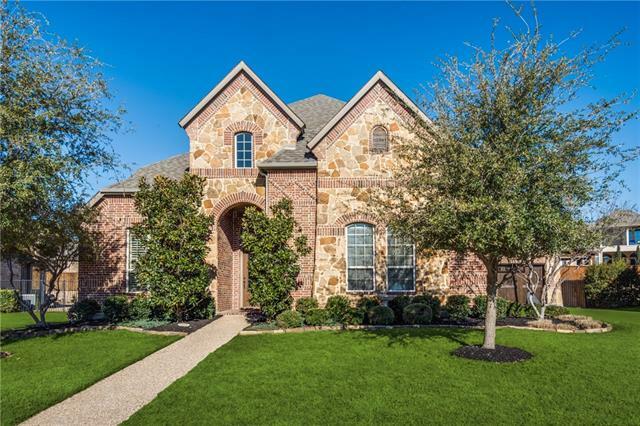 Texas-sized master suite with spa like bathroom! Plus 2nd bedroom with ensuite bathroom downstairs. Upstairs you will find 3 bedrms, 2 baths, game room, & check out the MED"
"Space, Glorious Space...inside and out! 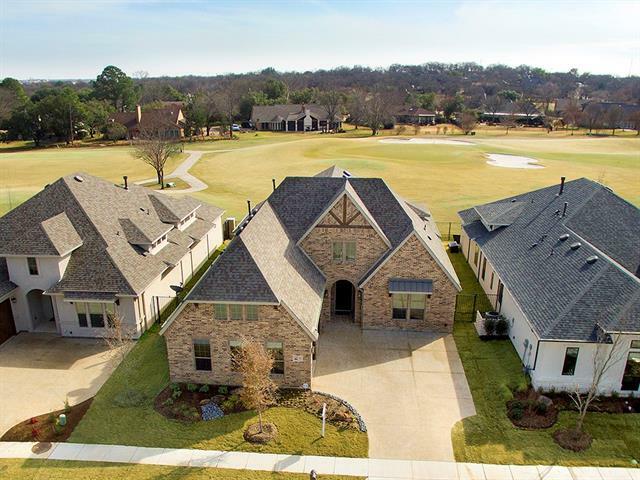 Popular Lennar Florence floor plan is situated on the GOLF COURSE with sensational north-south orientation. This seldom found, over ONE-HALF acre lot gives you an opportunity to create your own special oasis. Wood floors in the major rooms, built in bookcases in the study, wet bar with beverage cooler and butler's pantry are some of the highlights. Master with unique windowed seating area as well as bedroom or craft room with adjacent bath (with door to ba"
"Beautiful 5 bedroom home on over a third of an acre. 3 car garage with huge extended back patio with outdoor kitchen and fire pit. Hand scraped wood floors thru out first floors, granite counter tops, SS appliances, double ovens, 5 burner gas cook top with butlers pantry from kitchen to formal dining. Downstairs master suite has luxurious bath with a sitting room or study attached. Upstairs has 3 full bedrooms with two full baths a game room and a media room for entertainment. 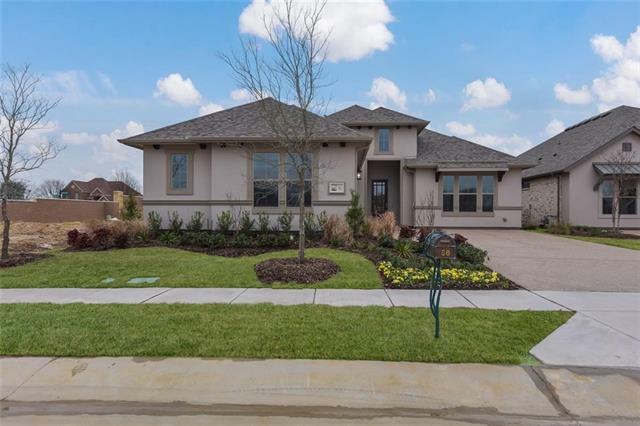 The back yard is h"
"Ideally sited in The Highlands At Trophy Club, this outstanding home was quality constructed by the renowned K. Hovnanian Homes. With a functional floor plan and custom touches throughout, this lovely home conveys both elegance and relaxation into one. The two-story floor plan, with 4993 square feet, offers five bedrooms including a first-level master suite and guest room, four-and-a-half bathrooms, a dedicated study, a formal dining area, a culinary-inspired kitchen with adjacent breakfast area"
"GREAT LOCATION IN THE TURNBERRY ADDITION OF TROPHY CLUB. 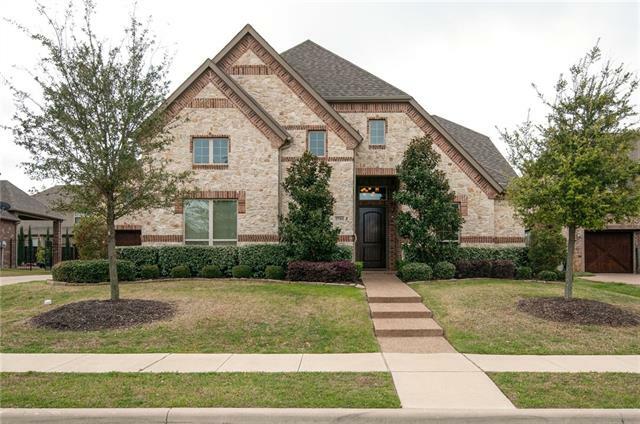 THIS HOME FEATURES 4 BEDROOMS - 3.1 BATHS - 3 CAR GARAGE - FORMAL DINING ROOM - GAME ROOM - MEDIA ROOM - SPACIOUS OFFICE - GOURMET ISLAND KITCHEN WITH LOTS OF CABINET AND COUNTER SPACE - SUNROOM OFF THE BREAKFAST AREA - LARGE FAMILY ROOM WITH A WALL OF WINDOWS OVERLOOKING THE COVERED BACK PATIO AND BACKYARD. THIS IS A MUST SEE HOME!" 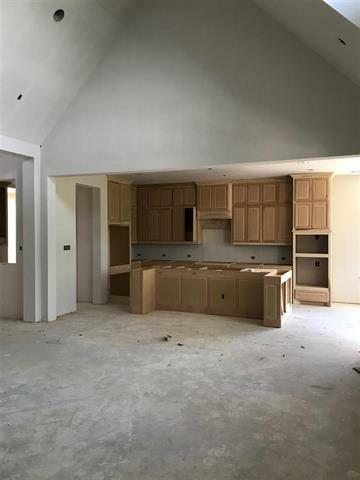 "MLS# 14029048 - Built by Drees Custom Homes - May completion! ~ If you are wanting to downsize, this is the perfect one-story home! You will love the open concept of the family room and kitchen area where you and your family can all be together. Each bedroom has its own bath. The bonus room can be used as a study or a media. The outdoor living area with a fireplace is a great place to entertain or relax and unwind..."
"MLS# 13992770 - Built by Drees Custom Homes - CONST. COMPLETED Nov 29! ~ You will love this one-story, three bedroom open concept home! Entertaining will be a breeze with the living triangle of family room, kitchen and casual dining all overlooking the outdoor living area. Stay warm on those cold winter nights sitting next to the outdoor fireplace." 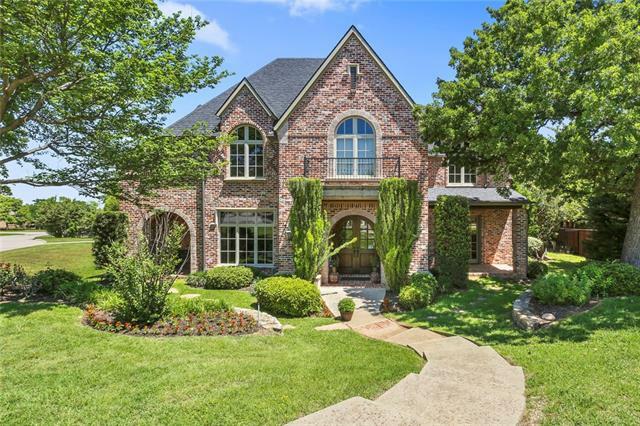 "Stunning custom one owner home on one-third acre with NO NEIGHBORS BEHIND OR NEXT DOOR! 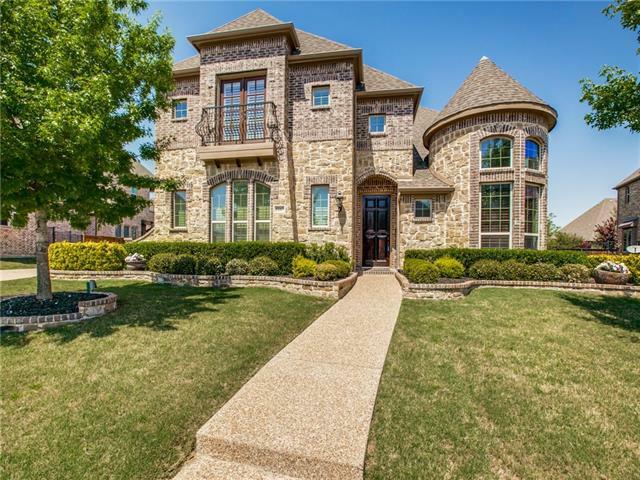 You will notice the beauty in this fabulous 5-4-3 car garage home as soon as you walk in the door & see the circle stairs with iron railing & soaring ceilings. Open floorplan from the chef's kitchen features SS appliances, gas cooktop, granite, double oven, island, butler pantry & buffet counter by dining. All this looks into the family room that has a wall of windows & gorgeous floor to ceiling stone FP as t"